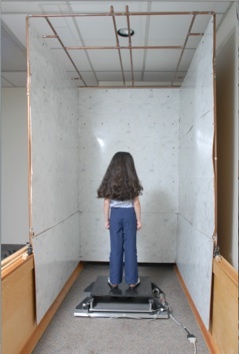 In the moving room method, a small three-walled room is shifted forward and back around a standing observer. The observer stands on a force plate to record her changes in posture. The method demonstrates how even standing still is strongly influenced by multiple senses. Zana Devitto is red and her sister is green. At least they’ve always referred to each other this way. These colors have nothing to do with their hair color or clothes. Instead, these colors are based on their names—the first letters of their first names to be exact.  Devitto and her sister are letter-color synesthetes. They experience images of specific colors when they look at letters or numbers. Devitto describes the experience: “It’s not as if the letters look printed in different colored inks. The colors are less distinct, and seem more like they’re surrounding the letters, or being projected onto them. Either way, the colors are inseparable from their specific letters.” For example, for Devitto, O’s are always white, her P’s are green, and her R’s are purple. And if a letter changes, the color changes along with it. If Devitto were to change a P into an R by drawing a single slanted line, the letter’s color would spontaneously change from green to purple. Synesthesia is a systematic and involuntary sensory experience induced by an unrelated stimulus. For Zana Devitto, seeing a letter or number induces a color. But there are many varieties of synesthesia. For many synesthetes, sounds can induce color sensations. These sensations, while amorphous and ethereal, often seem to have a definite spatial location. Other synesthetes experience these color images upon hearing or reading the days of the week. Less common is the synesthesia in which hearing certain words induces distinct flavors in the mouth. And in what is likely the rarest form, tasting a flavor can produce tactile feelings of shape. Devitto’s letter-color synesthesia is one of the most common. Also common is the fact that she had no idea her experiences are unique. “When we were kids, my sister and I discussed the fact that we saw letters as having colors. But we thought that everyone did! It wasn’t until I was in college and learned about synesthesia that I realized we were unique”, she recalls. Also common to Devitto’s type of synesthesia, is the fact that the same colors have been associated with the same letters for as long as she can remember. Her P’s have always appeared green, her O’s white, and her S’s, reddish-purple. Her sister has many of the same letter-color correspondences, but not all. While, Devitto’s P’s are dark green, her sister’s are light green. The estimated number of individuals in the population suspected to have some form of congenital synesthesia ranges from 1 in 20,000 to 1 in 23. Synesthesia is known to run in families, as evidenced by Devitto and her sister as well as the fact that her grandmother and cousin are synesthetes. Devitto and all of her synesthetic relatives also share another common property: They have a creative streak. Devitto herself is an avid stained glass hobbyist and her grandmother is a successful painter. Devitto believes that synesthesia may inform her own art by allowing her to experience colors as having “personalities”. In fact, synesthetes in the general population are more likely to have some artistic profession or avocation. And there are some well known artists and musicians who have either been confirmed or suspected to have synesthesia. These include the artists David Hockney and Wassily Kadinsky and musicians Franz Liszt, Duke Ellington, and John Mayer. Early explanations of synesthesia considered the experiences as little more than fanciful introspection or robust metaphors based on remembered associations. However, the last 20 years have provided compelling evidence for synesthesia’s legitimacy. Synesthetes perform differently on perceptual tests in ways that would be nearly impossible to fake. Further, brain imaging has shown differences in how synesthetes respond to their inducing stimuli. When presented letters or numbers, the brains of letter-color synesthetes show much greater activity in areas associated with color perception. The more recent theories assume some type of genetically-based, neurophysiological explanation for synesthesia. One current theory is that synesthetes have retained low-level, cross-sensory connections which for most of us, have been pruned away since infancy. Another theory is that synesthetes have normal neural connections but lack some of the inhibiting processes that usually eliminate certain signals from coursing across sensory brain areas. Regardless, these neurophysiological influences do more than integrate the senses—we all have those. These neurophysiological influences of synesthetes induce spontaneous sensory images based on some other stimulus.